Consistently excellent performance has made Beta Wireless Microphones the choice of top performers worldwide. Renowned for their warmth, presence and sensitivity to fine detail, they feature maximum isolation and minimum off-axis coloration. 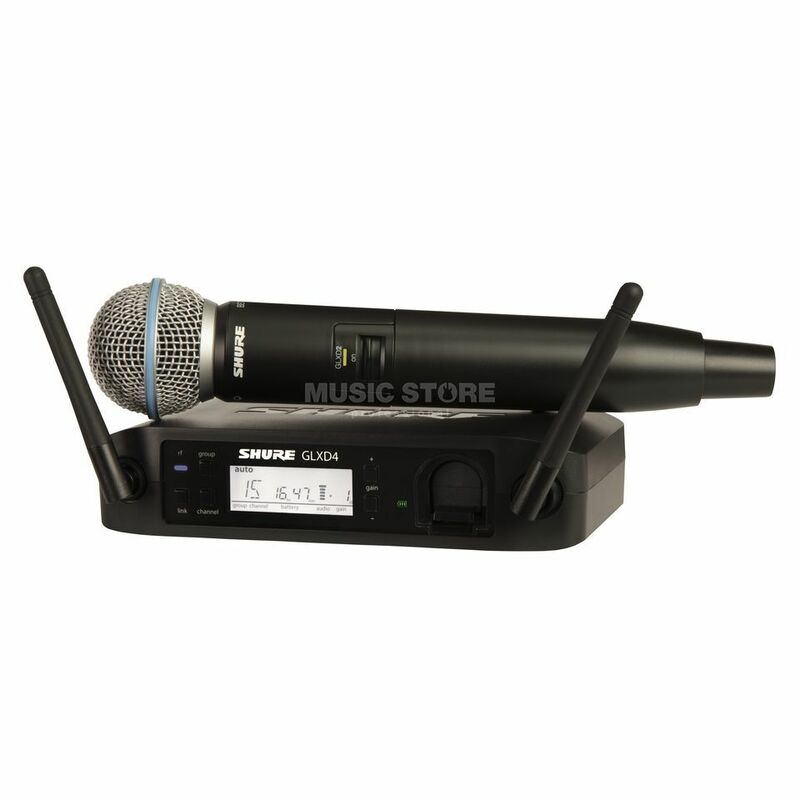 Vocal and instrumental microphones available with Analogue or Digital Wireless Receivers The Digital Wireless Receiver combines automatic frequency management with true digital diversity for a rock-solid wireless signal with exceptional digital audio clarity. Shure proprietary lithium ion rechargeable batteries provide up to 16 hours of continuous use.